This is the largets local supermarket in Ubud which has various items such as food, ordinary items and Balinese souvenirs. Since the locals come to shop, the prices are very reasonable. There are Balinese souvenirs including a popular soap, Burat Wangi, so tourists also stop by for souvenir shopping as well! 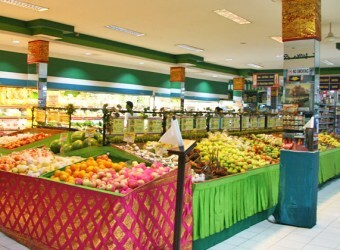 I thought it is far cheaper than supermarkets in south Bali area. I bought much instant food, sambal and fried rice paste. Cosmetics and daily necessities also can be found here. Souvenir shopping finished here.